MERE MORTALS is John Meadows’ latest release. With band members Uros Raskovski on Lead Guitar, Eloy Palacios on Bass Guitar, and Sammy K on Drums, John puts his pianist chops to the keys … fusing epic rock with classical music. Think Bowie meets Liszt, Queen blending with Beethoven, Elton John crossed with Chopin. The music is luscious passionate; intense and enthralling. 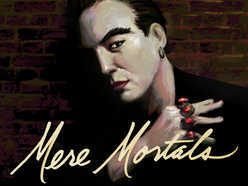 MERE MORTALS displays John's virtuoso piano skills and bared soul songwriting.